Think of any two-tone colour scheme and we are bound to have it in this stunning design. The cap comes in dozens of stunning combinations, perfect to highlight your unique corporate look and feel. A classic 6 panel design with a pre-curved peak suits young and old and is ideal for indoors, outdoors, work and play. The cap has a built in padded sweatband for added comfort and a gunmetal buckle and tuck-in return completes the look. Offering caps as a promotional give-away at trade shows, expos, seminars and product launches is a great way to build brand recognition and get noticed. This design is made from heavy brushed cotton, a long lasting and durable fabric that has a luxurious and rich feeling. It washes in lukewarm water and air dries and will never fade or lose its shape. 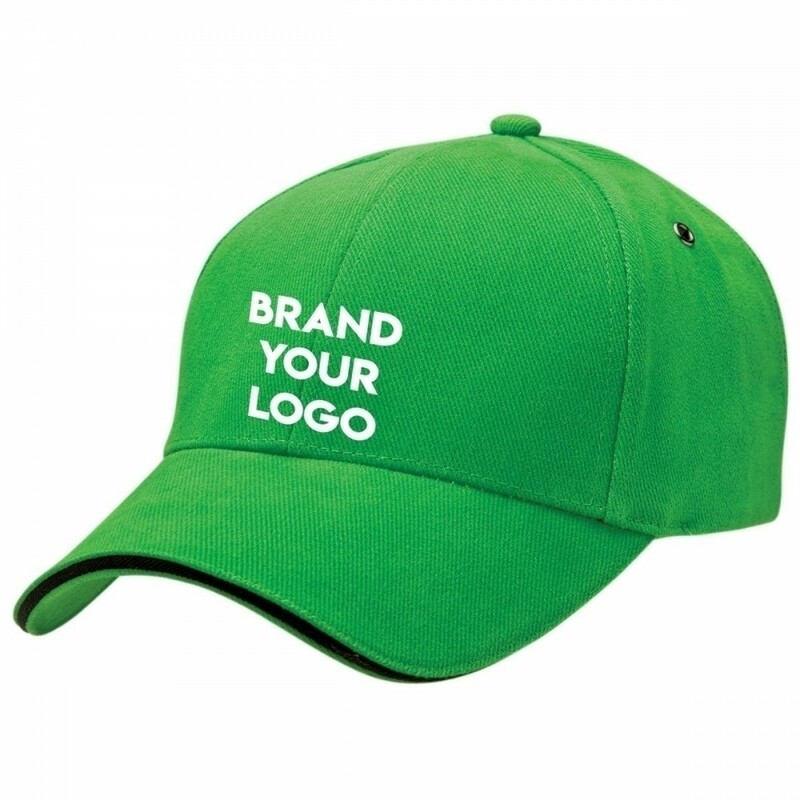 Talk to our friendly team for ideas on how to brand the caps with your logo and graphics. Our pricing includes 8k embroidery of your personalised graphic. Embroidery can be done on the peak, sides or back of the cap and embroidery can accommodate multiple colours. A set up of $50 applies for orders under 50 units. Pricing excludes GST. Delivery of this item is within Australia only.